"The true harvest of life can be found from the intuitive reflections of the natural world." 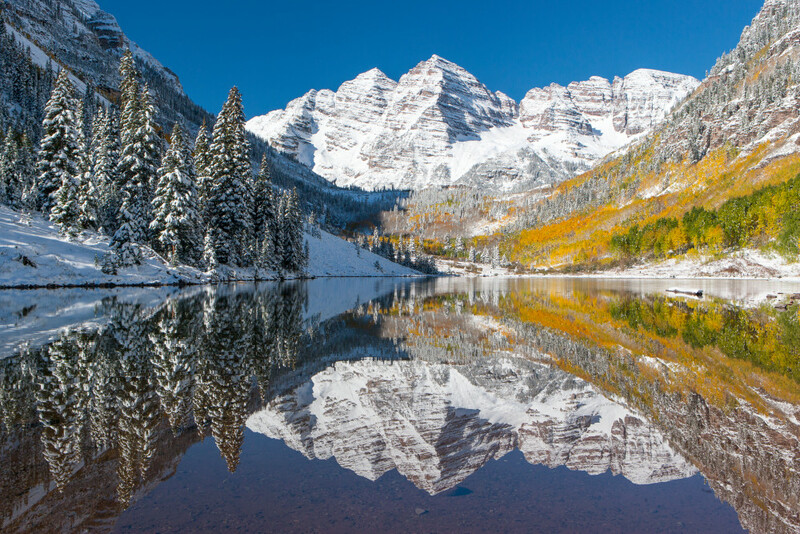 Intuitive Reflections is a landscape photograph or the Maroon Bells , taken in the Rocky Mountains of Colorado. This original nature wall art photograph is custom-printed by a professional print lab, using archival pigment inks and giclee printing techniques. Landscape photography prints can be ordered unframed or framed, as well as on canvas, metal, or acrylic. A large selection of media types and sizes available.